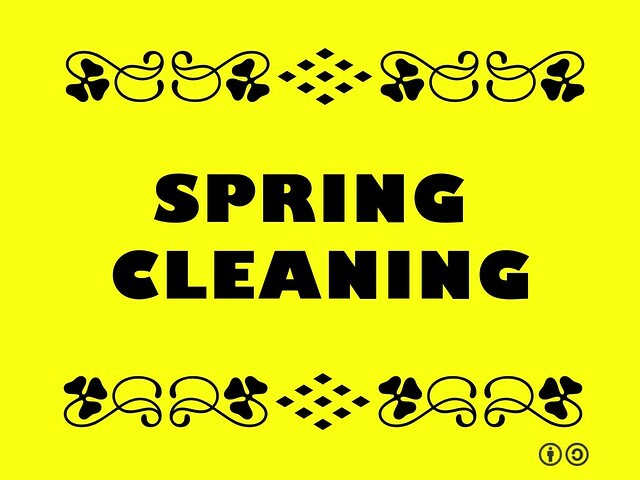 Vintage spring cleaning via Nationaal Archief. Glass: 1/4 cup vinegar (Bragg’s Apple Cider Vinegar is great!) and 1 quart of water, shaken in a spray bottle. Tile and countertops: 2 parts vinegar, 1 part baking soda, and 4 parts water. Floors: 4 cups of vinegar mixed with a gallon of water. Add a scent with crushed peppermint leaves or lemon juice. Wood furniture: Equal parts lemon juice and olive oil. Toilets: Scrub the bowl with a toilet brush and baking soda. Clean the outside with vinegar. 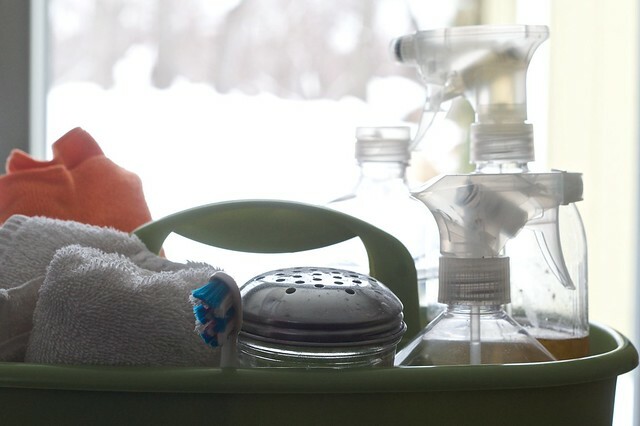 Mold and mildew: Vinegar! Vinegar is pretty magical. Air freshener: Sprinkle your favorite essential oil on a cotton ball and put it in a bookshelf corner. Hang dry your laundry instead of using the machine. Maybe you don’t have time to hang-dry every load, but even once a week will make a difference! 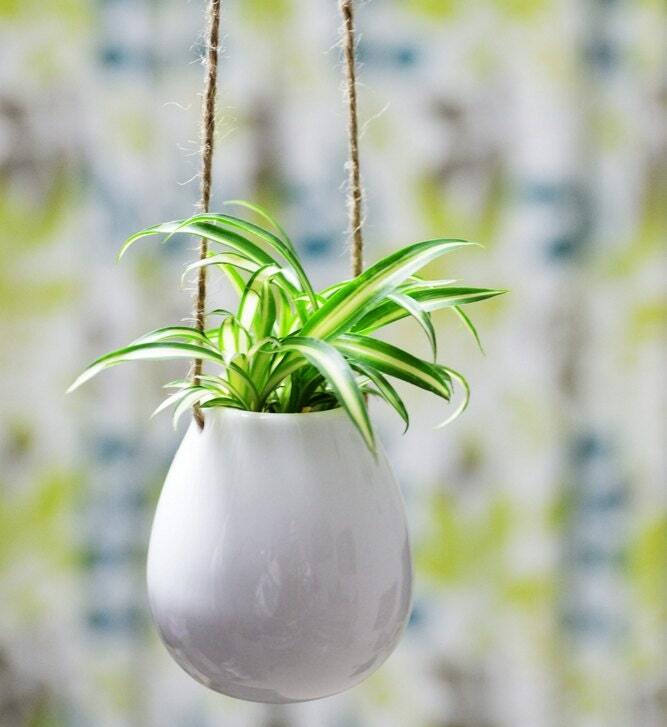 $17 hanging plant on Etsy. Add plants to your house to filter the air. Spider plants, English ivy, rubber plants, and peace lilies are great air-cleaning options. Quit buying single-use paper towels. Invest in cleaning cloths that you can wash and hang dry.